This Raf Simon's bag is an interesting intersection of art and clothing. 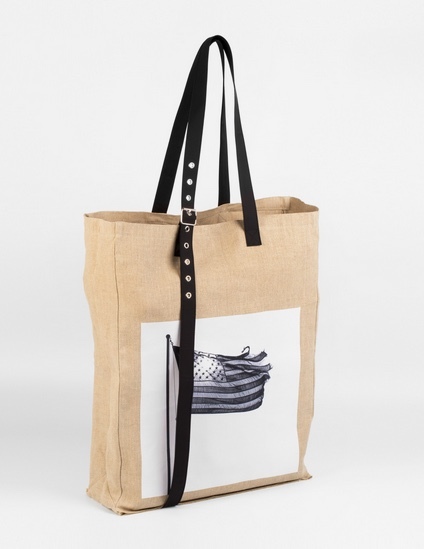 He collaborated with Mapplethorpe foundation and the photograph on the bag is one of Mapplethorpe's photo. I find Raf Simon's vision intriguing. He does thinking man's fashion. 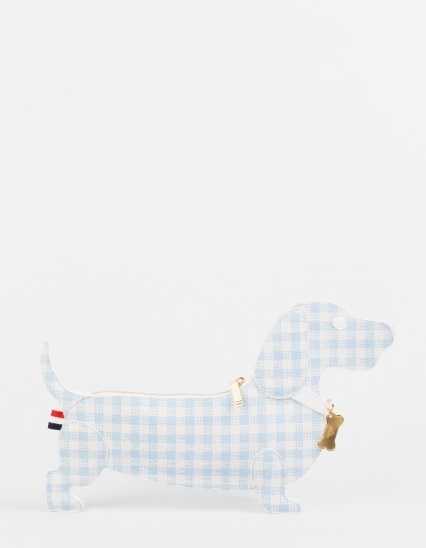 Thom Browne is obsessed with seersucker patterns and so am I! This bag is a perfect combination of seersucker pattern on a dog with a dog tag on its neck. What's there not to like? 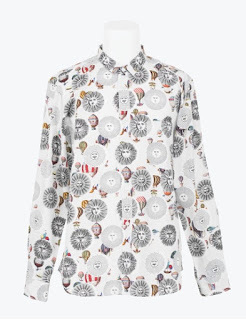 One of the most quirky furniture brand one can buy is from Fornasetti. 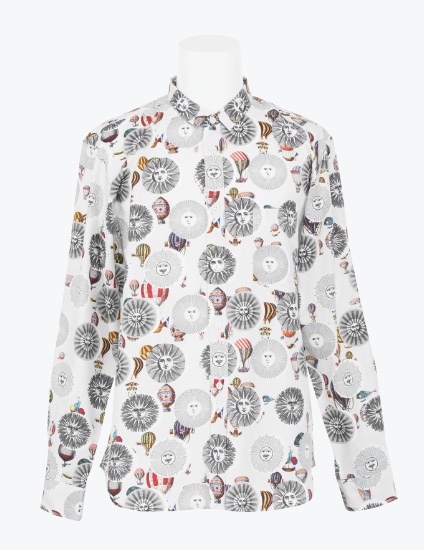 So when Comme des Garcons collaborated with Fornasetti, you can be sure oddball thing can happen... such as this shirt; it has combo of two usual Fornasetti motives... sun and hot air balloons!